VATICAN CITY (CNS) — As leader of the universal church, a pope must direct his ministry in both of the ways traditionally described by the Latin terms “ad intra” and “ad extra”: inwardly to the church itself, and outwardly to the rest of the world. Pope Francis has accordingly spent the first year of his pontificate pursuing two ambitious projects: revitalizing the church’s efforts at evangelization and reforming the church’s central administration. With his affable, informal manner and simple language, Pope Francis has focused on a message of mercy, forgiveness and concern for the poor. He has taken largely for granted those elements of church teaching, including sexual and medical ethics, that contemporary culture tends to reject as censorious and intolerant. He has thus elicited extraordinary levels of curiosity and good will far beyond the ranks of practicing Catholics around the world. At the same time, the pope has carried out an all-but-explicit electoral mandate to reform the Vatican bureaucracy. A major topic of discussion at the cardinals’ meetings before the March 2013 papal conclave was the previous year’s controversy over published revelations of corruption and incompetence in the Roman Curia and Vatican City State. Pope Francis has moved swiftly in this area, launching investigations of the Vatican’s accounting practices and the Vatican bank, expanding the reach of Vatican City laws against money laundering and the financing of terrorism, establishing a new office to supervise Vatican finances under an oversight board that includes laypeople and setting in motion a constitutional overhaul of the entire curia. One might have predicted some tension, if not conflict, between these two goals: preaching the Gospel with renewed zeal and energy to the world’s 1.2 billion Catholics (and 5.9 billion others), while transforming the highly traditional bureaucratic culture of an enclave with fewer than 3,000 employees in Rome. The demands of governing the Vatican have presumably played a role in Pope Francis’ choice to spend little time away. For a pope who stresses the need to evangelize and serve those on society’s “peripheries,” he has spent far more time than either of his predecessors within the Vatican’s walls. Blessed John Paul visited 129 countries outside of Italy during his 26-year papacy, pioneering the role of the pope as globetrotting evangelist. Even the less peripatetic Pope Benedict XVI took as many as five international trips in a single year. Pope Francis has taken one international trip so far — to Brazil in July — and his planned pastoral trips for 2014 — to the Holy Land and South Korea — will be relatively short, only three and five days long, respectively. Yet, he has hardly cut himself off from his global flock. With the highly quotable expressions and spontaneous gestures that have made him an instant television and social media star, Pope Francis has proved he can grab the world’s attention without leaving St. Peter’s Square. The pope’s ad intra and ad extra commitments are not merely compatible; they actively reinforce each other. It is not hard to see how reforming the Vatican’s handling of money should bolster the cause of evangelization, especially the ministry to the poor on which the pope has placed such emphasis. By the same token, much of Pope Francis’ preaching — particularly his warnings against clericalism, careerism and materialism among priests — obviously applies all the more urgently to his closest collaborators in the Vatican. 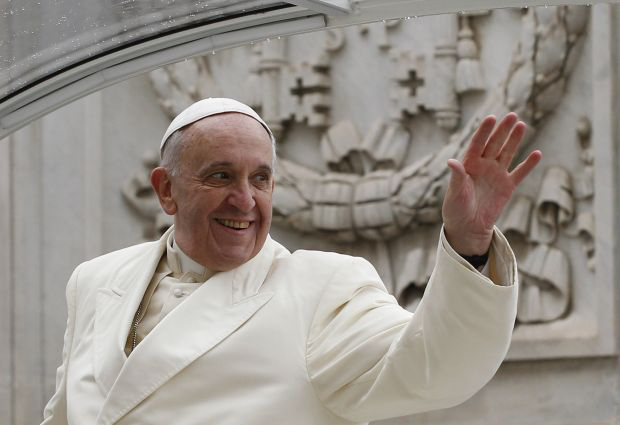 Most effectively, with his simplicity of life and extraordinary accessibility, the pope himself serves as the foremost model of both the evangelical poverty and the ecclesiastical service he preaches. In the process he is leading Catholics to a conclusion many will find remarkable: that even the church’s most exalted institutions should be open to them.